"Envy" - a feeling of discontented or resentful longing aroused by someone else's possessions, qualities, or luck. 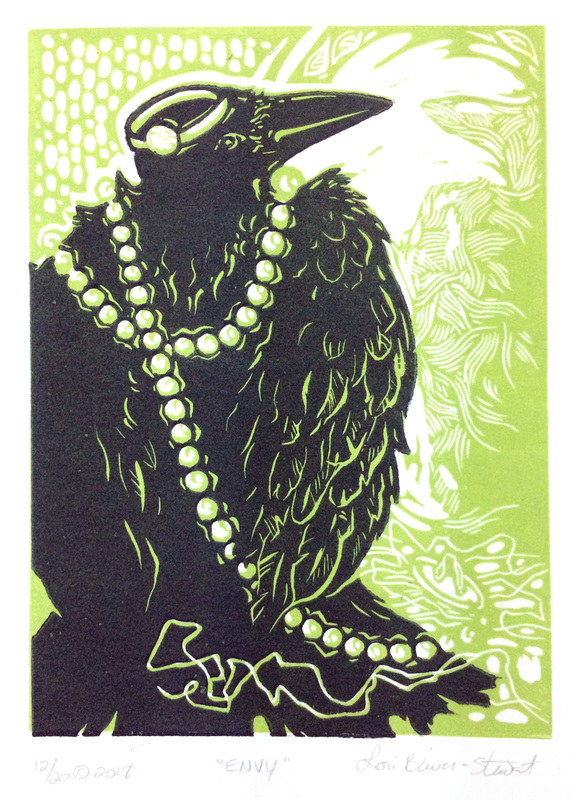 "Envy" is an original linoleum created and hand pulled in my studio on heavy weight Stonehenge printmaking paper. Each is printed with lightfast oil-based inks.